Kerry has been a Disney travel expert long before she decided to make it her profession. Only after years of taking Disney vacations with her own family and advising friends on how to plan their own Disney vacations, did Kerry take the plunge and become a Disney travel agent. 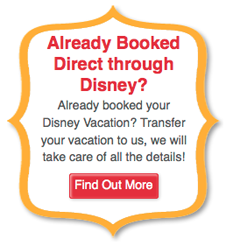 She’s been an “Authorized Disney Vacation Planner” since 2010 and a lover of all things Disney since birth. 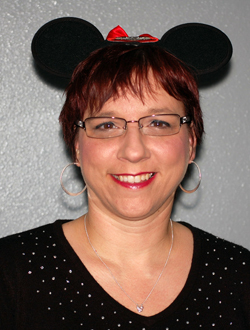 As a mother of two teenagers and a home school mom, Kerry has learned every trick there is for planning a Disney vacation on a budget. She keeps her eyes open for pin codes and discounts, lower-priced alternatives, and vacation packages that can help any family afford the Disney vacation of their dreams. With Kerry you’re not just getting a travel agent, you’re getting a vacation advisor who has the expertise to help you plan the best vacation for your family as well as save you money. From booking flights, making dinner reservations, planning itineraries, booking food and lodging packages, and arranging transportation, Kerry takes care of the details so you don’t have to worry them. You are free to enjoy the magic of your personalized Disney vacation wherever you plan to go—Disneyland Resort, Disney Cruise Lines, Walt Disney World Resort, as well as Adventures by Disney and Disney’s newest resort on Hawaii’s O’ahu Island, Aulani. Make sure to put KERRY in the agent request box!